One exhibition not to miss this winter is the MACBA’s current headliner, The Passion According to Carol Rama, which sees the museum joining an international effort to secure the 96-year old Italian artist’s place in the canon of contemporary art. In interviews, Rama’s tongue is as hot as the red, fleshy organs dangling from the mouths of the nameless women that she renders in delicate watercolors. And yet, for all her sass, she has led a relatively obscure life in her native Turin, making drawings, paintings and sculpture for over 70 years behind the blackout blinds that keep her apartment in a state of perpetual night. Though the MACBA show is practically a retrospective of her career, with a staggering 200 works dating from as early as the 1930s to the present, only a fraction of these were borrowed from museums. Some 90% are on loan directly from individuals – “everyday people” as co-curator Teresa Grandas notes – to whom Rama gave works in exchange for items such as prescription medicine or repairs to her clothes. She and fellow co-curator Beatriz Preciado have used the show to shed light on this mysterious figure, as well as to debunk certain ideas about the work that have further reinforced Rama’s lack of presence in the art world. 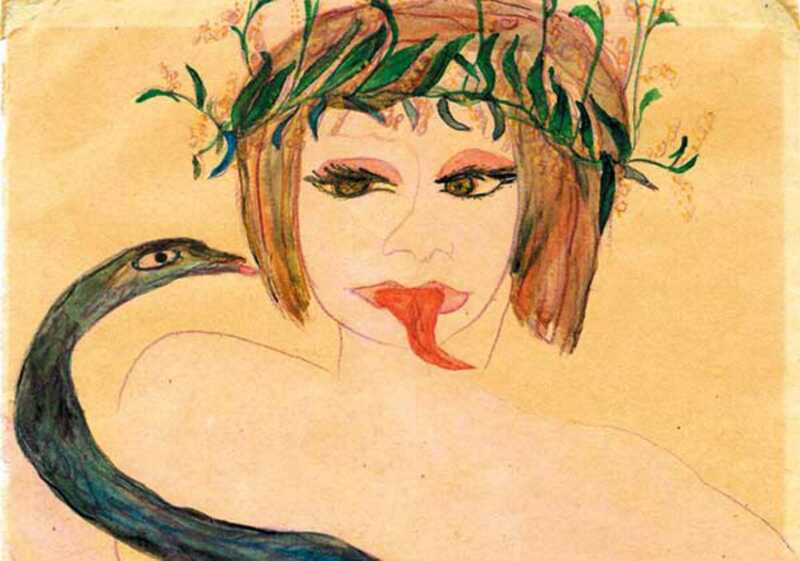 Aside from being a feast for the eyes, The Passion of Carol Rama is suffuse with sensual celebration and the glint of rebellion.